King Mohammed VI, Chairman of Al Quds Committee of the Organization of Islamic Cooperation – a grouping that comprises 57 countries representing over one billion citizens, has described the American decision to recognize Al-Quds as the capital of Israel and to move its embassy there as “a step outside the bounds of international legitimacy”. In a message addressed to participants in the 5th International Conference on Al-Quds, organized at the initiative of the UN Committee on the Exercise of the Inalienable Rights of the Palestinian People, the Moroccan Sovereign said the US administration move “undermines the frame of reference set by the relevant resolutions, diminishes the stature of the United Nations and puts security and stability at risk in the region and beyond”. 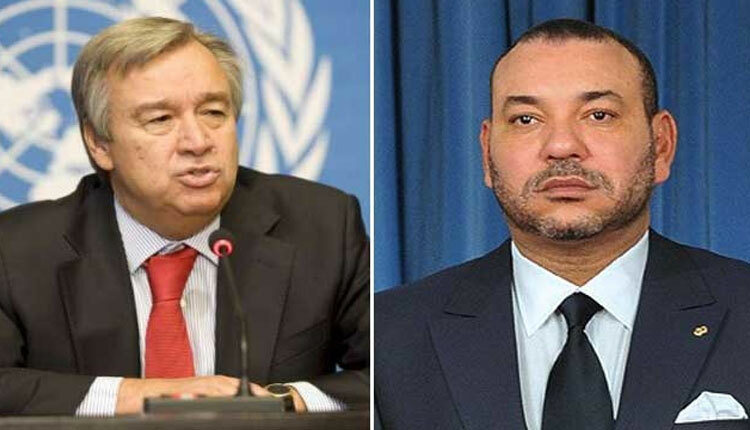 “We, in Morocco, immediately rejected this step and considered it to be incompatible with international law and with the relevant Security Council resolutions”, added the Monarch, recalling the letters he sent to US President Donald Trump and to UN Secretary-General António Guterres. In these letters, the Chairman of Al Quds Committee warned that any modification of the legal, political or historical status of Al-Quds would have serious repercussions on peace in the region and would undermine international efforts to create an environment conducive to the resumption of peace negotiations with a view to finding a just, comprehensive solution to the Palestinian-Israeli conflict. The Moroccan King also sent a message to President Mahmoud Abbas, expressing Rabat’s total rejection of the American decision and assuring the Palestinian leader of Morocco’s full solidarity and strong commitment to exert all possible efforts to rally international support to uphold the legitimate right of the Palestinian people to an independent State, with East Al-Quds as its capital. According to King Mohammed VI, though the Palestinian-Israeli conflict is a difficult and complex issue, it is still possible to address it as a mere conflict, which can be brought to an end, rather than as an inevitable destiny. “This is a conflict that can be resolved if delusions and nostalgia for the past are abandoned and provided a sense of realism and confidence in the future prevail, underlined the Monarch”, calling for a rational approach to unleash a constructive dynamic that charts the way forward towards a better future. The longer the Palestinian-Israeli conflict is allowed to go unresolved, the more difficult and complicated a settlement will become and the more disastrous the impact will be on the region and the world, warned King Mohammed VI, urging the international community to pool efforts in a bid to reach a negotiated, safe and fair settlement based on a realistic vision and a specific timeline. Posted by KanelkaTagba on Jun 27 2018. Filed under Headlines, World News. You can follow any responses to this entry through the RSS 2.0. Both comments and pings are currently closed.